You may email, call or fax the hotel. What types of rooms are available, and what are the differences between the room types? If the property is not informed 24-hours or more prior to date of arrival, a charge of one (1) room night’s accommodation will be levied on the credit card used to guarantee the reservation. If the property is not informed 24-hours or more prior to date of arrival, a charge of two (2) room nights accommodation will be levied on the credit card used to guarantee the reservation. If the property is not informed 24-hours or more prior to date of arrival, a charge of three (3) room nights accommodation will be levied on the credit card used to guarantee the reservation. What are your check-in and check-out times? Check-in time is 2.00 pm. Yes, as Royal Express is a completely non-smoking hotel. All rooms at Royal Express are fitted with king sized. 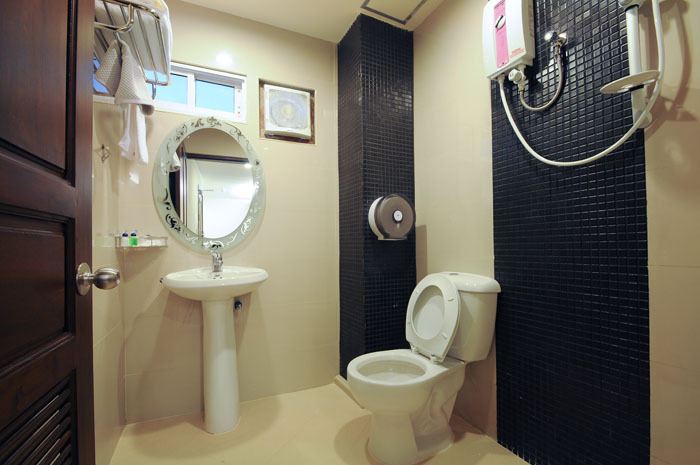 Regrettably, there are no inter-connecting rooms however, adjacent rooms are possible. Please advise us at the time of booking and we will do our best to accommodate your request. Regrettably, the hotel does not provide this service. There is no breakfast provided in Royal Express however there are plenty of restaurants that open in surrounding of the hotel. How far is the hotel from the airport and do you provide airport transfers? And if so, what is the cost? 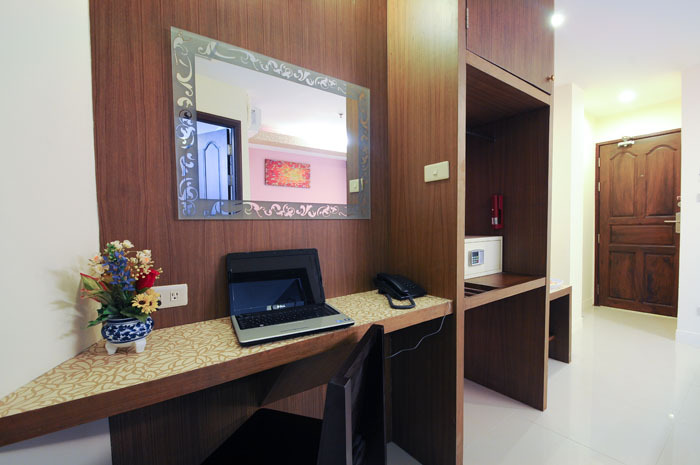 The hotel is a 35-40-minute drive from Suvarnabhumi International Airport. Regardless we do not provide airport transfer however you can take an airport taxi is approximately THB 400-500 nett per way including toll charges. Tap water in Thailand is not potable. Complimentary bottled water is supplied to your rooms daily. In front of the soi at the left side there is Siam Commercial Bank currency exchange booth is two doors along to the left. It is a minute waking distance from hotel to Nana BTS Sky Train station. Sukhumvit MRT is one stop to Asok inter-change station by skytrain. Within walking distance is the Robinson Department Store, otherwise, the nearest shopping centers (Central Chitlom, Central World, Erawan to name a few) are 2 stops from the Nana BTS Skytrain Station and the Emporium Shopping Center is 2 stops in the other direction. How far is the hotel from entertainment spots? Soi8 Pub & Restaurant, Viva Monsoon, We 4 U Pub, Det.5 Pub are not more than a 5 minute walk away. Tourist attractions are plentiful, please contact the Front Desk for more information.